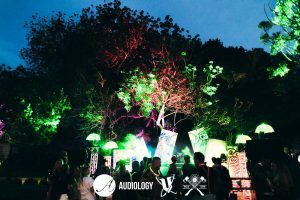 HAMILTON, NEW ZEALAND – The Bush Doof festivals have a long tradition of cultivating and engaging a collective social conscience through music. The Road Trip to Bush Doof is one of the most popular contemporary incarnations of this tradition. 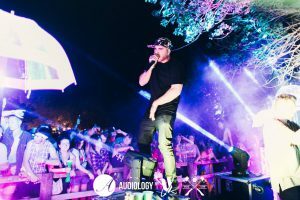 Serving up a sizzling variety of electronic and bass music parties, the event has built up a large and loyal following among locals and visitors from throughout New Zealand and Australia. 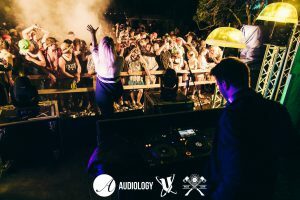 For this year’s event, which featured international heavyweight drum and bass DJs such as KOVEN and Kadington Live, organizers decided to up the production by giving fans an upgraded visual spectacle. 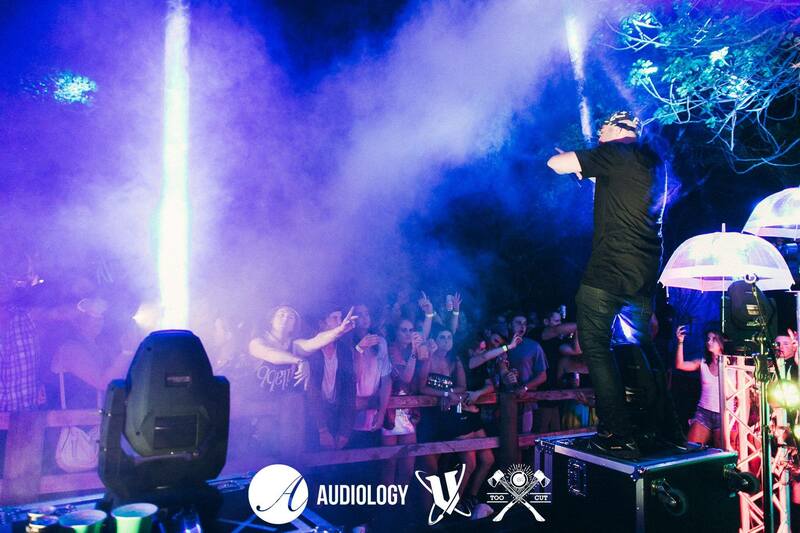 To this end, local production specialists Tron Audio specified CHAUVET DJ Intimidator Hybrid 140SR moving heads for the festival. In specifying the Intimidator Hybrid fixtures, the lightshow was effectively able to have all the benefits of spot, wash and beam features within one convenient package. The added benefit of effects such as control, prisms and gobos for intense mid-air projections further enhanced the production. “We enjoyed having the flexibility of the Hybrid fixtures, as we were able to constantly play with different beam and spot effects to whip up visual energy in support of the DNB music,” commented Brodie. “To have this three-in-one package also ensured we didn’t have to specify any other moving heads, and as such, the festival was able to keep its trademark DIY and underground feeling.” Brodie provided added visual punch by positioning CHAUVET Professional STRIKE 4 multi-formatted warm white fixtures. The STRIKE 4s were included within the visual concept and positioned behind the DJs. Providing independently focusable pods provided punchy and energetic bursts of light to accompany key points within the music sets. “The STRIKE fixtures gave the whole DJ podium the look of a classic rave,” commented Brodie. “Not only could we offer excellent audience blinding and strobe effects in abundance, the tungsten emulating look provided a gorgeous warm white wash – a contrasting look to the energy of the Intimidators.” Thanks to Tron Audio’s incorporation of the Chauvet fixtures, the Road Trip to Bush Doof received an incredible visual platform upon which its drum and bass music could be supported. What’s more, the spontaneity and DIY ethos of the festival was affirmed. “With a relatively simple lighting rig, we were able to create an even better atmosphere this year for the audience,” concluded Brodie.